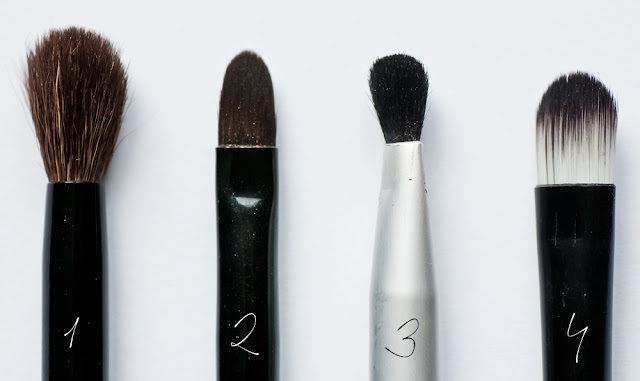 there's one thing they never used to have until a few years ago: makeup brushes. When they had finally added a few to their collection, the quality was about as crappy as it gets. If I remember it correctly, they only had blush brushes at first. The hairs were stiff, thick, uneven and very densely packed together so the brush wouldn't hold any product whatsoever. A few months/years passed, and there came the eye shadow brushes. I believe the first one that came out was quite a big fluffy shadow brush. The quality of this one was already a lot better than the blush brush, but as you can see in the pictures below, the hairs still look a bit like tiny twigs. 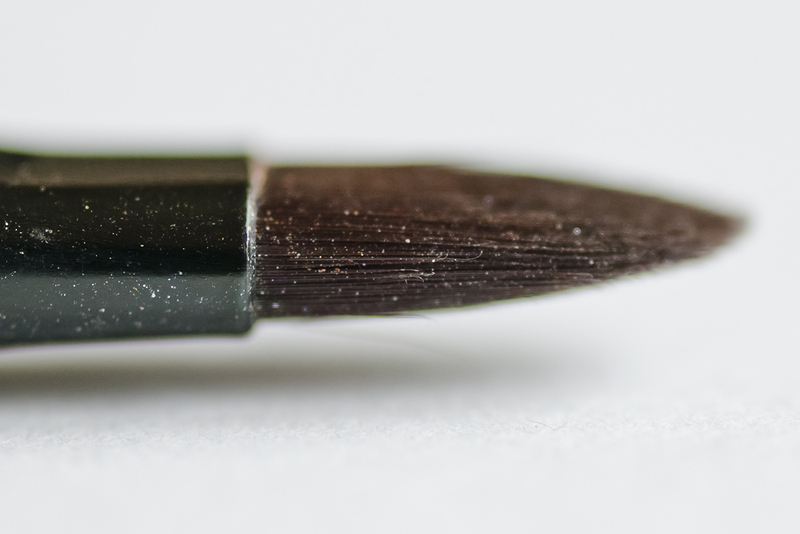 Another issue I've had with this brush is that it wears off too soon in my opinion, mostly due to hairs falling out. However, I do use this brush on a regular basis, just because it's super cheap (I believe it's €2,50) and the shape and rigidity of the brush are just right. Indeed, the hairs tend to feel a bit sharp sometimes, so when you're in store it's best to thoroughly check each brush for stiff, prickly hairs before you buy one. Other than that, this is a very suitable blending brush that you're just going to have to replace with a new one every once in a while, depending on how often you use it. 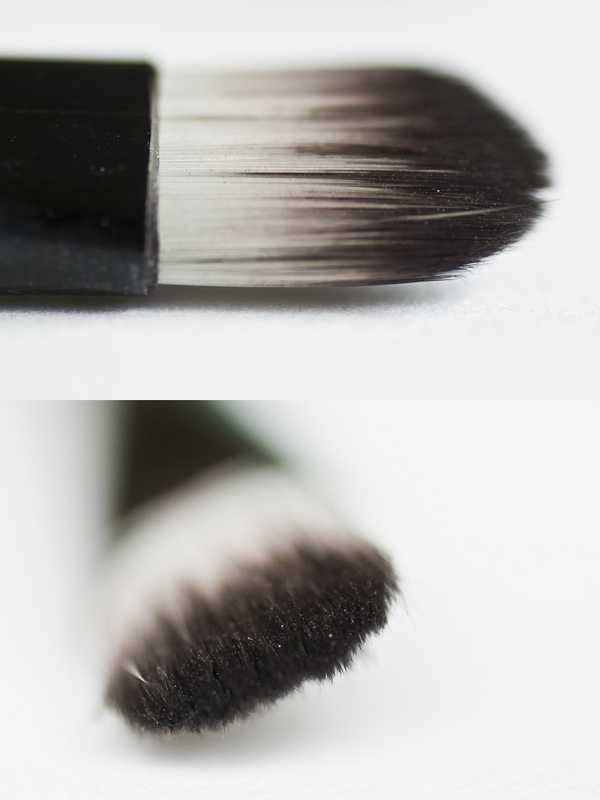 The next shadow brush they brought out is a very versatile one and also one of my all-time favorites. It is a very dense flat brush that converges into a thin point towards the end. Therefore it can be used to apply shadow all over the lid or in smaller area's like near the tear duct, but also to apply eyeliner and I even use it to fill in my brows. Unlike their fluffy brush, this brush has yet to disappoint when it comes to its durability. I have had a few of these for about a year now, and for as far as I know they're still not shedding any bristles. Also, the brush is perfectly shaped out of soft, yet quite rigid hairs, which makes this brush perfect for precision jobs. I've only discovered this next brush a few weeks ago when I went back to the store to replace my fluffy blending brush I described earlier. 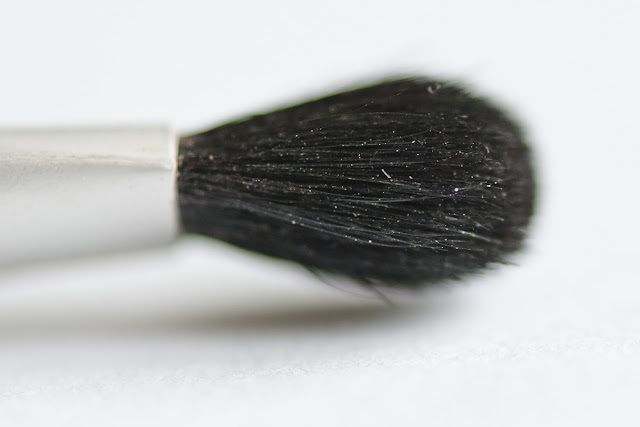 It's pretty much a smaller version of the first blending brush, only this one is more oval shaped instead of spherical and it has higher quality bristles. First of all, the color of the bristles and the handle have changes - which happens quite regularly in this particular store (they've also had pink, blue and purple editions) - and I definitely think the black bristles are an improvement to the brown ones from the large fluffy brush, but I personally prefer the black handle over the silver one, but I'm not that much of a silver-person anyway. Besides, HEMA is known for making unique products with varying and preferably unconventional colors and I really like that about them. So let's not whine about the color any longer, let's just be happy that the bristles on this brush are way softer and smoother than the ones on the large blending brush. The size makes it a lot easier to work with as well. Then there is this last shadow brush that I also bought a few weeks ago. I used this one in my edgy cut-crease/cat-eye video and although I do like it, I think it's definitely not the best of the bunch - despite the fact that I'm in love with the black and white bristles. The shape would make this brush most suitable for packing on eyeshadow, but the bristles are synthetic, very stiff and have pretty much equal lengths, so the brush doesn't hold much product and gives you quite a lot of fallout. I'd say this brush would be most suited for applying cream products, which largely eliminates both problems. One asset of this brush is that, like the second one, it has the width needed to apply product all over the lid and the precision to draw a thin line. I don't think I'd buy this brush again, just because I have similar, somewhat more expensive brushes that I prefer over this one, but if that's not the case for you, I think this would be a nice budget pick. 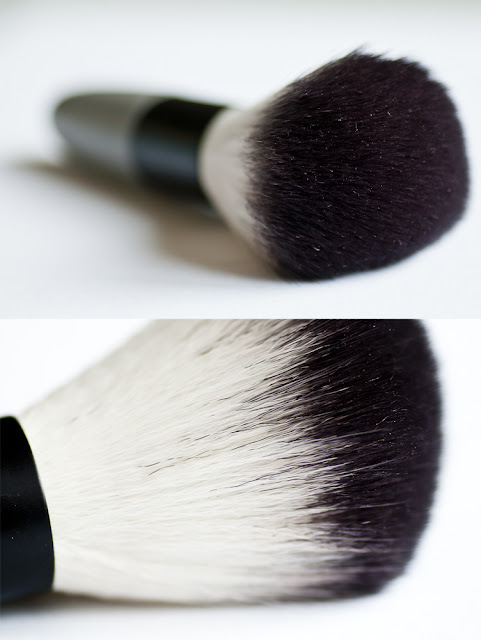 And lastly, we have one of my newly discovered favorites: Their new and improved blush brush. 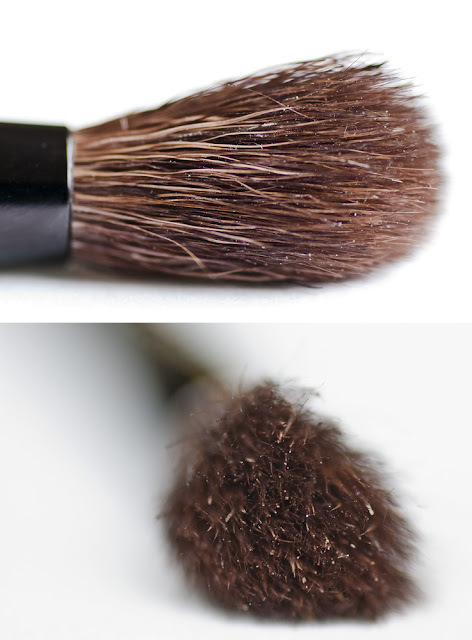 For the purpose of comparison, I've placed a few different views of the new blush brush (1) next to the old one (2). The difference is huge. Huge enough for me to say that, whereas the first edition is by far the worst brush I own, the latest edition is one of the best, with a quality similar to my (kind of overpriced) Make-up Studio stippling brush. 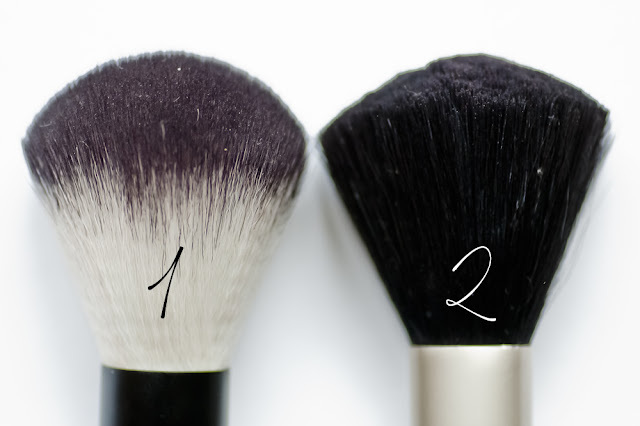 The new blush brush (left) has a perfectly rounded shape, which is notably emphasized by looking at the wonky, uneven shape of the old one (right). Also, I can't distinguish any flyaway hairs on the left brush, but I have spotted a few lost bristles on the right one, see? 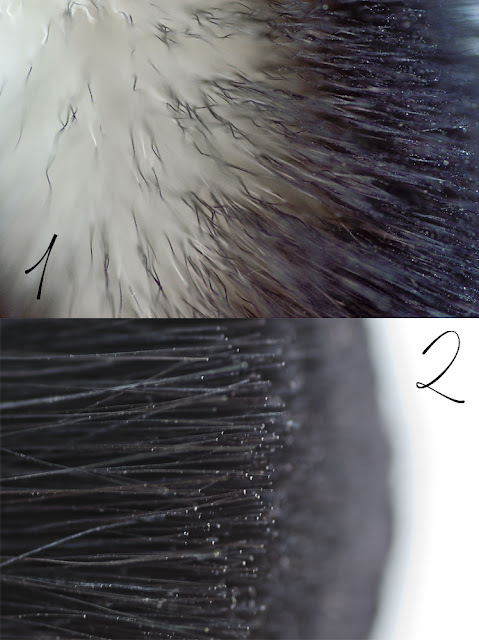 Also, when you look closely at the pictures below, the bristles of brush (1) clearly look (and feel) softer and less rigid than the ones on brush (2). The bristles on the old blush brush look very blunt and synthetic, like they've been cut with an old pair of scissors. The ones on their new brush are nothing like that; they are synthetic, but could easily pass for real hair. These last pictures are taken perpendicular to the bristles, so you can really see the difference in their structure. Do you see the little white dots in both pictures? And now do you see how small and scattered they seem to be in brush (1) and how bold and dense they are in brush (2)? 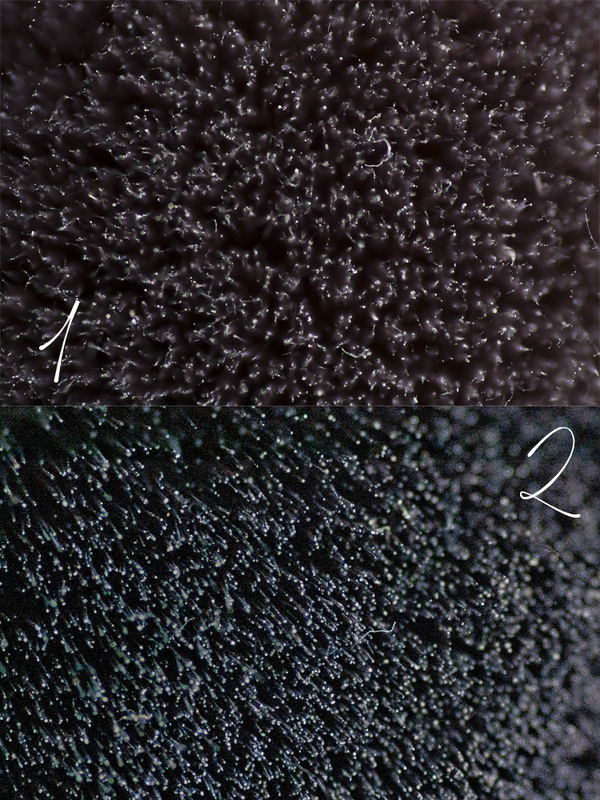 This shows that brush (1) is way more fluffy and that all the bristles have different lengths, in contrast to brush (2), which is way too dense and harsh. Obviously this store has made some huge leaps when it comes to making quality brushes. 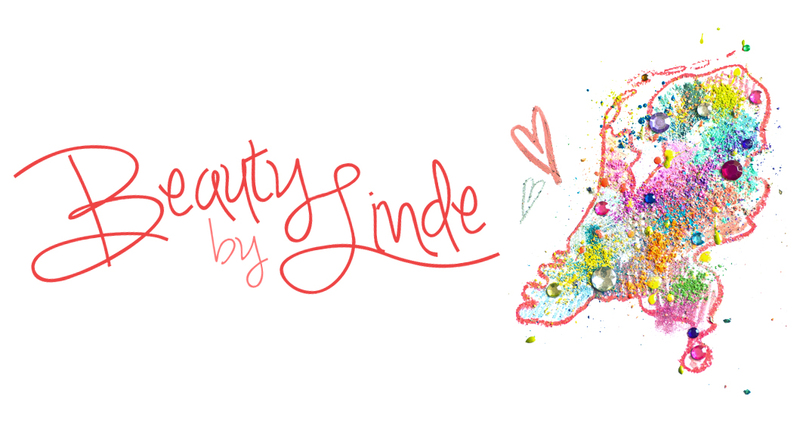 They definitely have the essentials there to complete a perfectly fine full-face makeup look. They also have some nice foundation brushes, which I haven't shown today because I don't use them myself (I personally prefer a stippling brush, a sponge or my hands for applying foundation), but those are great as well! So what do you guys think of these brushes? 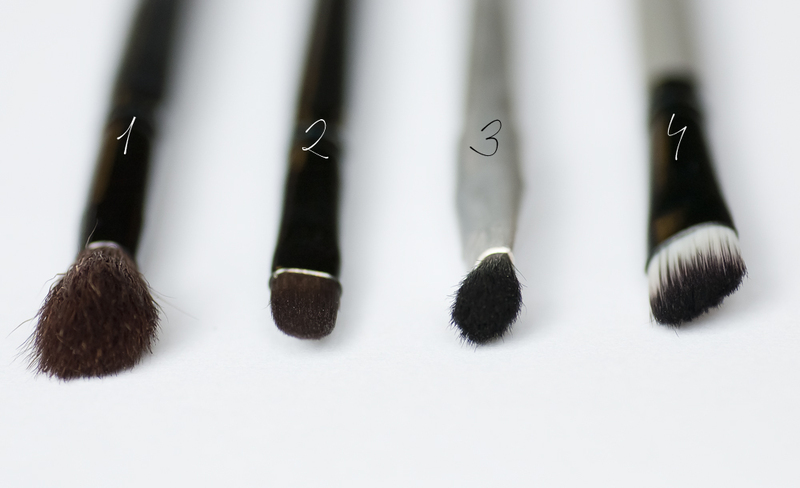 Do you have some HEMA brushes of your own? Which one's your favorite? HEMA is echt een leuke zaak, haha het voelt typisch 'Hollands'! Misschien dat die HEMA worst het ook maakt. :') De kwasten klinken best fijn, en ik verwacht prima kwaliteit van de HEMA. Alhoewel het wel beter kan. En ze zijn wel lekker budgetproof. Ik vind ze er trouwens wel mooi chique en luxe uitzien. Haha ja he die worst doet et em :') Klopt, uiterlijk is echt hun sterkste punt. Bij de meeste kwasten kun je duidelijk merken dat ze niet veel hebben gekost, maar ik moet zeggen dat ik echt onder de indruk ben van de blush brush! Haha, die nummer 2 en 3 heb ik ook een hele tijd terug gekocht. Nummer 2 gebruik ik echt super vaak, ook om concealer mee op te doen. Werkt prima. Haha chill is ie hè :) Voor concealer heb ik hem nog nooit gebruikt, maar daar lijkt ie me inderdaad ook handig voor! My sentiments exactly--a girl needs really good make-up brushes! !